Progressive Dental is not simply a dentist’s office, it’s a comprehensive, caring, and collaborative dental health environment that offers its clients not only state-of-the-art dental health care, but professional and personal attention. 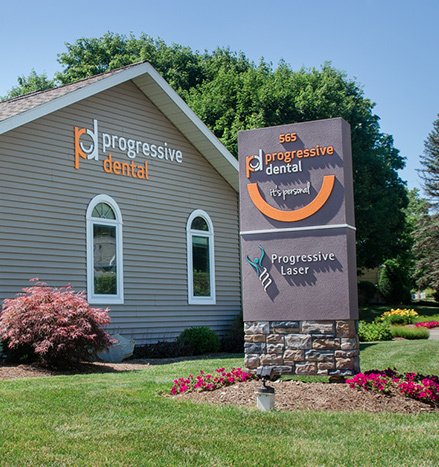 Lacking consistent across the board branding and professional marketing tools, Progressive Dental needed a brand identity that would communicate the nature of their comprehensive and collaborative care, as well as their community work and technological advantage. Idea Kraft created a modern, health-oriented design identity that incorporates the genuinely personal care aspect of Progressive Dental, with its commitment to — and investment in — the community in which it serves. Idea Kraft also developed a brand strategy reflective of the brand essence of Progressive Dental…professional and personalized care in an open and friendly office environment. From custom photography, a user-friendly website, and welcoming outdoor signage…every marketing and collateral support piece clearly communicates individualized, yet professional dental healthcare. Ewelina and her team redesigned and rebranded our company. They were very professional and had great ideas. Loved working with her team!